HomeBlogVariousPenfolds “Ampoule Project” the most expensive wine in the world. To celebrate the provenance of truly extraordinary wine and in the spirit of Penfolds innovation and experimentation, Australia’s fine wine maker Penfolds released the limited edition “Ampoule Project”, an exclusive wine that retails for AUD$168,000. 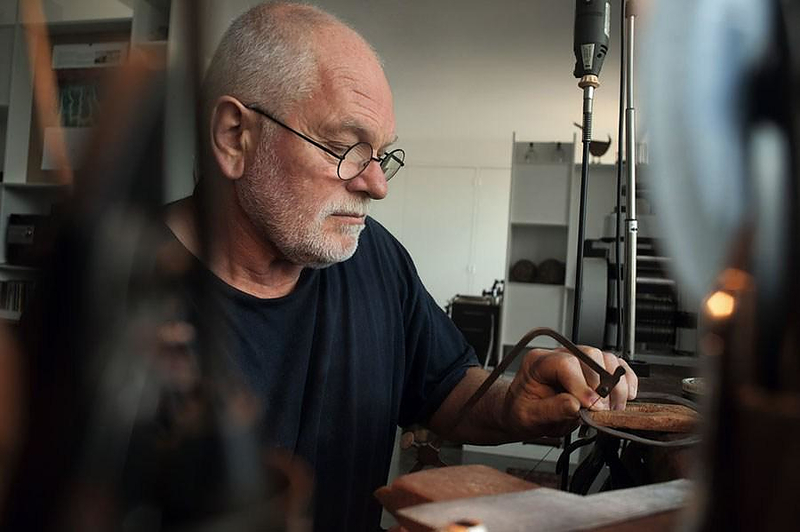 For the completion of the “Ampoule Project” four renowned Australian artisans were commissioned, glass sculptor Nick Mount, scientific glassblower Ray Leake, metalsmith Hendrik Forster and cabinet maker Andrew Bartlett. 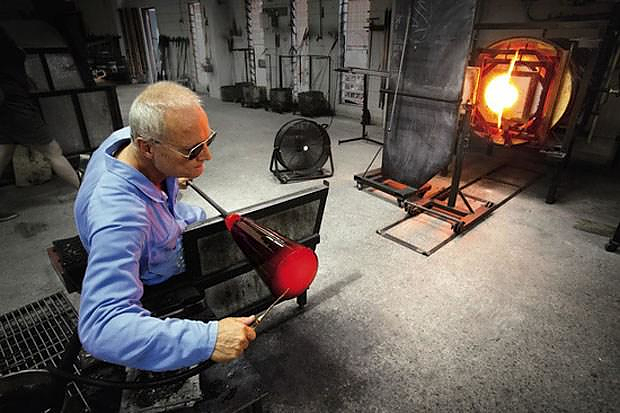 The glass sculpture was designed and hand-blown by Nick Mount. To encase the ampoule, Nick has designed and hand blown a conical, elongated plumb-bob of transparent grey glass with a ruby red ‘cotton-reel’ top. 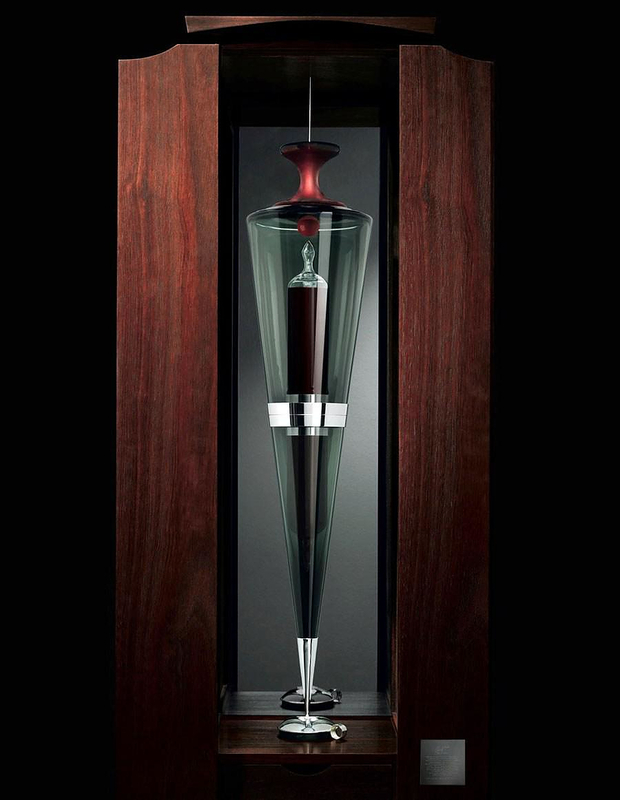 The plumb-bob is suspended in a bespoke Jarrah cabinet, with the ampoule held securely at its core. Hendrik Forster prepared all the precious metal detailing. Furniture craftsman Andrew Bartlett designed and made the bespoke Jarrah cabinet, where the ampoule is suspended. 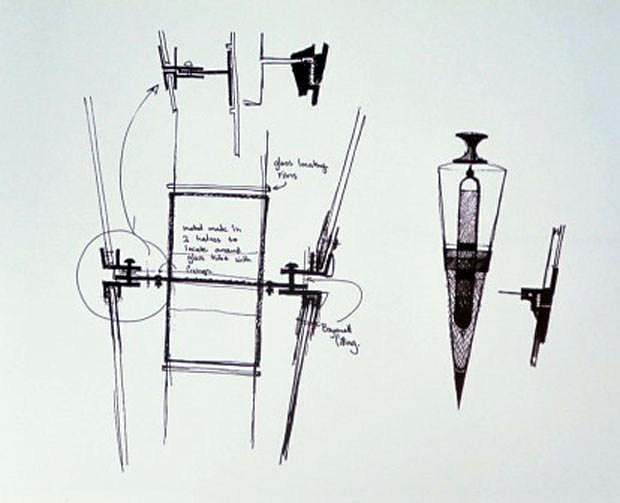 The scientific–grade ampoule, designed to store the wine in an ideal environment, and encased within the glass sculpture, was created by veteran scientific glassblower Ray Leake. The passion and technical skill of blowing glass by hand; the painstaking hours of crafting and refining a perfectly mitred cabinet; the clockwork precision of mechanisms and metal fixtures made from precious metals: these time-honoured artisan skills have created a fitting time capsule for an extraordinary wine. The wine contained within the ampoule, first released in the 1950s, holds a particular significance among generations of Australian and international wine collectors. Deeply connected to Australian wine culture, each release has in a way represented a point in the progress of the modern Australian wine industry. 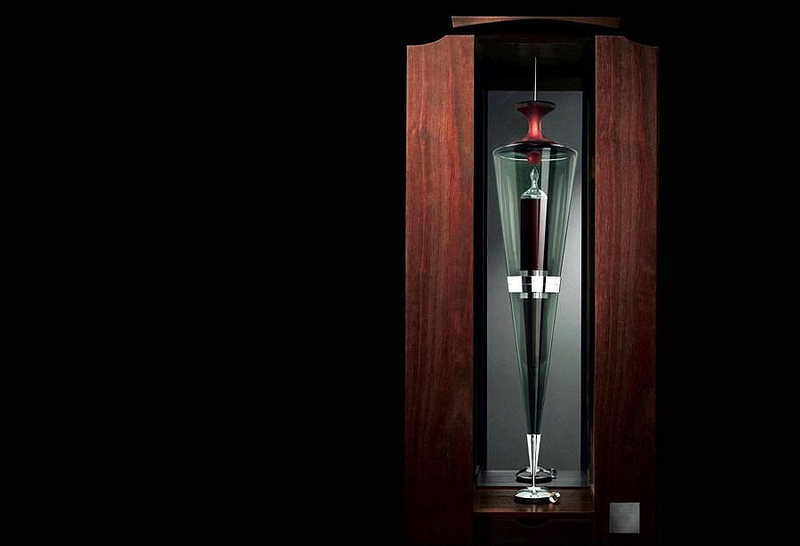 The Penfolds Ampoule is not only a compelling work of wine art – it also provides a truly memorable experiential and sensory engagement. When a decision is made to open the ampoule a senior member of the Penfolds Winemaking team will personally attend a special opening ceremony for the owner (essentially your very own master-class). 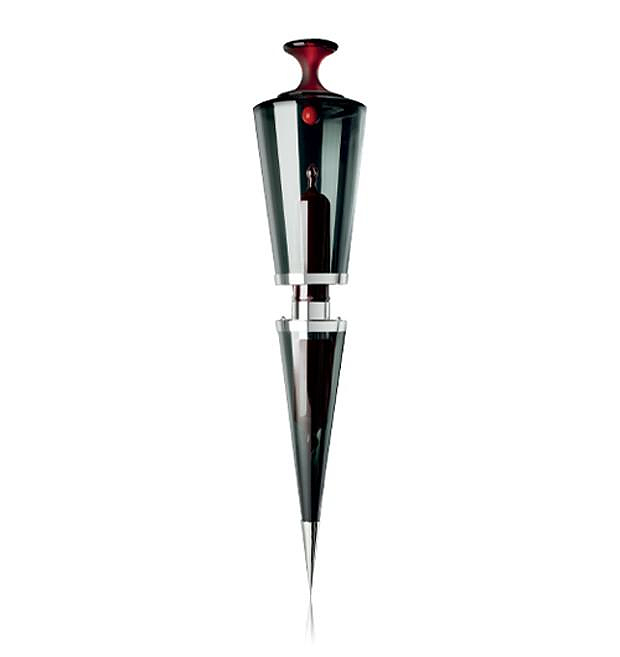 The winemaker will travel to the destination of choice, where the ampoule will be ceremoniously removed from its glass plumb-bob casing and opened using a specially designed, tungsten-tipped, sterling silver scribe-snap. The winemaker will then prepare the wine using a beautifully crafted sterling silver tastevin.